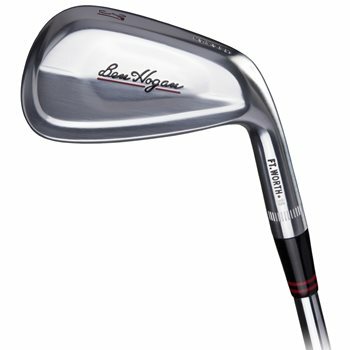 The Ben Hogan Ft. Worth 15 irons are forged from premium 1025 carbon steel in a six step process that delivers extraordinary club to club consistency. The irons feature the PreciseLoft System that feature lofts from 20-47 degrees being available with four different loft sequences to fit the strength profile and launch preference of every golfer. They are marked with the actual loft of the iron rather than the conventional iron number. The Ft. Worth 15 irons also feature progressive weighting throughout the set, V-Sole technology for versatile turf interaction and redefined perimeter weighting with more mass behind the impact area.